Provide comfort for the family of Judith Ramirez with a meaningful gesture of sympathy. Judi (Judith) Ann Morck Ramirez passed away suddenly while at home on Tuesday March 19, 2019. She was the daughter of Charles and Virginia Coleman Morck, entering their lives on February 3, 1942, forming a loving family with her older brother Charles Morck. Judi fondly recalled the enjoyment she and her brother had through the many hours spent at the family business, Charles A. Morck GMC Dealership, Amsterdam, and at their family built camp on Lily Lake. Judi proudly shared she learned to drive on a Studebaker and fish from a row boat. She was predeceased by her parents and older brother. Judi attended St. Mary’s Institute in Amsterdam and studied at Albany Business College earning a degree in Business and Administration. She furthered her studies at Fulton Montgomery Community College and at Empire State College earning a Bachelor’s degree in Human Services. Judi worked in the banking industry and Montgomery County Office for Aging in Amsterdam, with her most rewarding and dedicated service being with the New York State Thruway Authority. She was employed for over 30 years as a toll collector predominately at the Amsterdam interchange. After retirement, Judi maintained part-time employment and reveled when her phone rang with an opening for a day shift. Her days at work were fulfilled with conversation and friendships with her colleagues, imparting detailed directions to lost patrons, and greeting daily commuters. Quite often when out and about in the neighboring cities, she was greeted by someone saying, “Don’t you work at the Amsterdam Interchange?” To this she always smiled. Judi spent her life in Amsterdam, where she became the foundation for her family. Her daily (and multiple) phone conversations with her children became the threads that connected and strengthened their bond. She filled her calendar with her children’s and grandchildren’s activities, concerts and ceremonies. She enjoyed searching for a sale and bargain, and was always willing to take the lead in helping out for any event. Foremost, she was quick to assist her family and friends with any need at any time day or night. While she will not be here for hugs, reassurance and daily support, her presence will be everlasting. Judi was fiercely proud of her eight children and their accomplishments. She is survived by Kelli P. McCoski, Amsterdam; Colleen and (Francisco) Monge, Amsterdam; Kevin and (Kelly) Ptachick, Williamsburg, VA; Erin and (Todd) Compani, Perth, NY; Courtney Ramirez, Amsterdam; Heidi Ramirez, Philadelphia, PA; Debbi and (Steve) Mannino, Leesburg, VA; and Jorgette and (Jose) Marinez, NYC. Her legacy continues with 17 cherished grandchildren, Zachary, (Samantha) Sarah (Will), TJ (Brittany), Noah (Ashley), Jordan (Ciara), Ethan (Maggie), Alex, Arianna (Shayne), Molly, Miles, Sonny, Zidane, Frankie, Owen, Kaysan, Trent and Reese; and 6 adored great grandchildren, Lincoln and Antonia, Astrea and Jaya, Shayn, and Maeve. She is also survived by her sister in law, and friend, Ann Morck, and several nieces, nephews and cousins. Relatives and friend are invited to a memorial gathering Sunday, March 24, 2019 from 11:00 a.m. to 1:00 p.m. at the Riley Mortuary, Inc., 110 Division Street, Amsterdam, NY 12010. In lieu of flowers, memorial gifts in Judi’s name may be made to Montgomery County SPCA, SPCA Road. P.O. Box 484, Amsterdam, NY 12010. 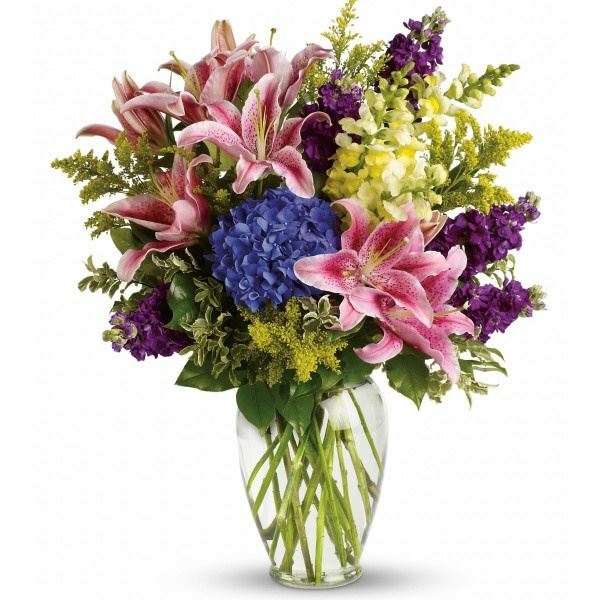 To send flowers in memory of Judith Ann "Judi" Ramirez (Morck), please visit our Heartfelt Sympathies Store. RELATIVES AND FRIENDS ARE INVITED TO A MEMORIAL GATHERING. Frank Richardi sent flowers to the family of Judith Ann "Judi" Ramirez (Morck). To Judi's family: How shocked I was this evening to learn that Judi had passed. I don't know if it was my lack of not keeping up with Facebook or the fact that Dutch did not recognize the name in the paper. He is the one who reads the paper every day. Please accept our sincerest condolences for the loss of your loved one. Had we know sooner, we certainly would have tried to get to the memorial service. May God be with all of you through these troubled times. May Judi rest in peace. Kelly, I’m so sorry to hear of your beloved Mom’s passing. She was such an outstanding woman. I always enjoyed talking with her whenever I saw her. May she fly high with the Angels. Erin ,Todd and family: sorry to hear of your moms passing. I got to work and know her as a great lady while working on the NY Thruway. My prayers go out to you all. Frank Richardi purchased the Love Everlasting Bouquet for the family of Judith Ramirez.